Being in the architecture industry is a tough job. During the planning phase, you would need to make sure to set the standard high to be able to make a stable structure. From the design itself, the person who hired you for the job will have to check on your design and make an approval of it before you can proceed to the next step. Even when you successfully acquire the approval of the employer, you will also need to constantly supervise the construction of the structure to make sure that the right materials are being used, that they are being used correctly, and that the construction process is going according to what was being planned. So if you are in the industry, whether you own an architecture firm or are managing one and you need a logo for branding and identity purposes, we have an entire collection of company logo designs that you can download. These designs may be downloaded for a very reasonable fee, and they are also fully editable. Feel free to check each and every one of these designs, you may find one that’s appropriate for your firm. 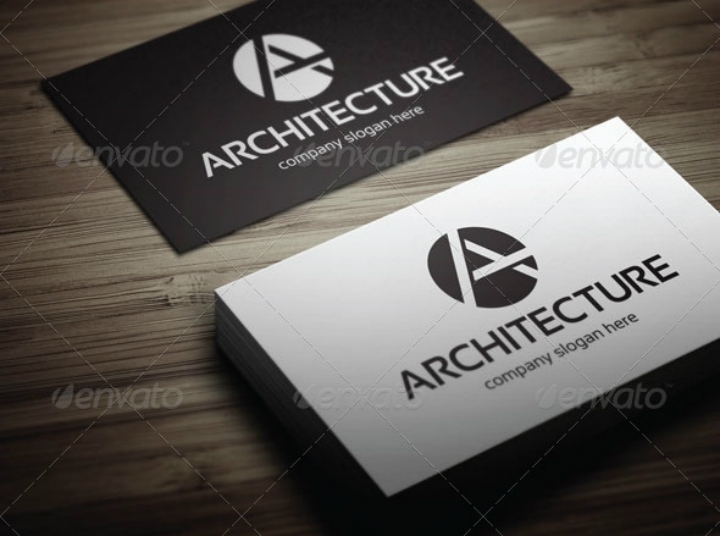 Take a look at this flat logo, if you prefer a simple-looking architecture logo that only uses a few colors, a clear and professional-looking serif font, and a straightforward graphic symbol, then this logo is perfect for you. The contrasting colors between the background and the logo design are enough to make it stand out and be visible even at a distance. If you want to go with a more artistic and multi-colored logo, you can also use this for your company. 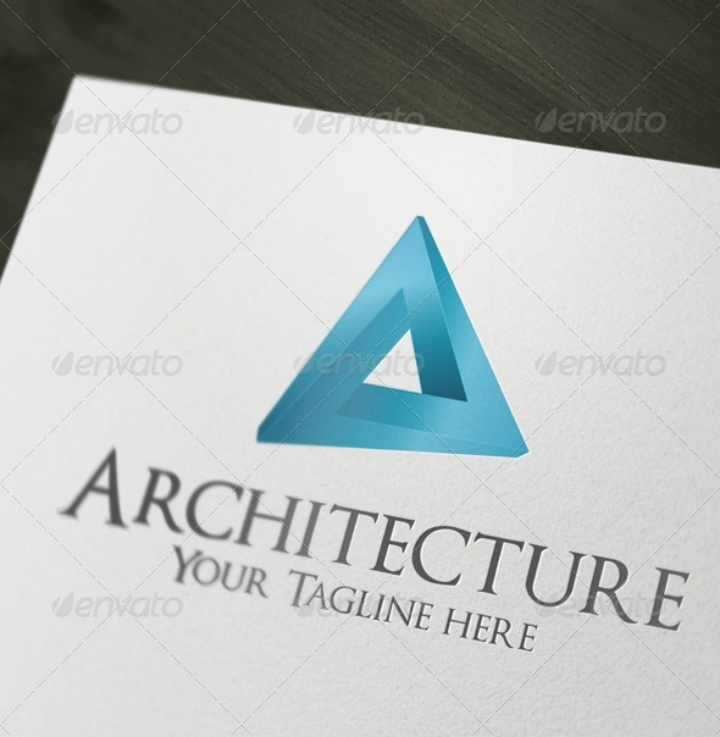 This architecture logo uses a variety of colors but are limited on the shapes, putting the emphasis on a three-dimensional perspective of a box. 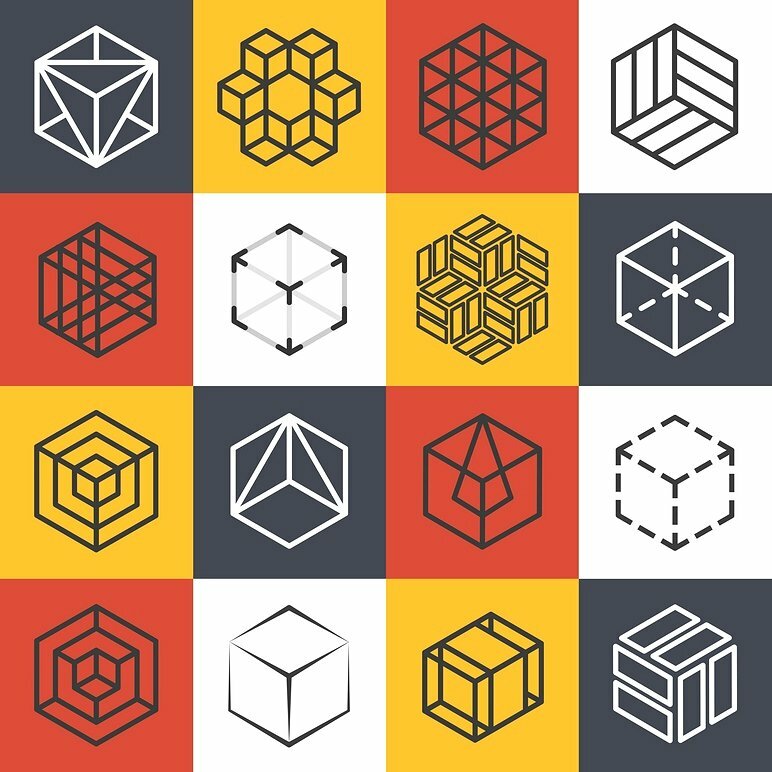 If you think that the entirety of this logo design is too much, then you can also choose to crop out an individual box containing the design that works for you. You may also download this minimalist business logo design that is focused on simplicity, but is still appealing in appearance. The symbol on this logo design involves only a single line to make an image that has dual meanings. The symbol could be interpreted as a letter “A” for architecture, or it could also be interpreted as a roof of a house. Check out this colorful architecture logo, from the design itself, you would be able to understand that this company does more than just design houses but also other much bigger structures. The different colors use provide us with a distinguishing idea that the structures on this symbol are different and not connected, which in turn could mean that this company is capable of handling many kinds of projects. So if you think your company has this capability, then download this logo design. If you are not into the simple, flat-looking logo design, then this might be the perfect one for you. This design bears a symbol that gives a three-dimensional illusion. While it may still look simple, but it’s more than just a flat logo. Aside from being a 3D image, the symbol itself is a geographic illusion, which makes it even more unique. However, if modern-looking logos are not your thing, you can also go with vintage logo designs, which can give you a vibe of the previous decades. These logo designs may look old, but you can never doubt that they are still trendy up to this day. Lettermark (purely text; only the initials of the business). While this logo design is classified as a lettermark if you opt not to include the text below the symbol, it can also be referred to as a combination logo if you insist on writing the complete name of the company below the symbol. If you are into abstract art, then this logo design is definitely for you. While it may seem confusing at first on what this logo design means, but after looking at it for some time, you would realize that this design is actually a window pane underneath a roof. This logo design is very inventive, yet still appropriate to the industry. 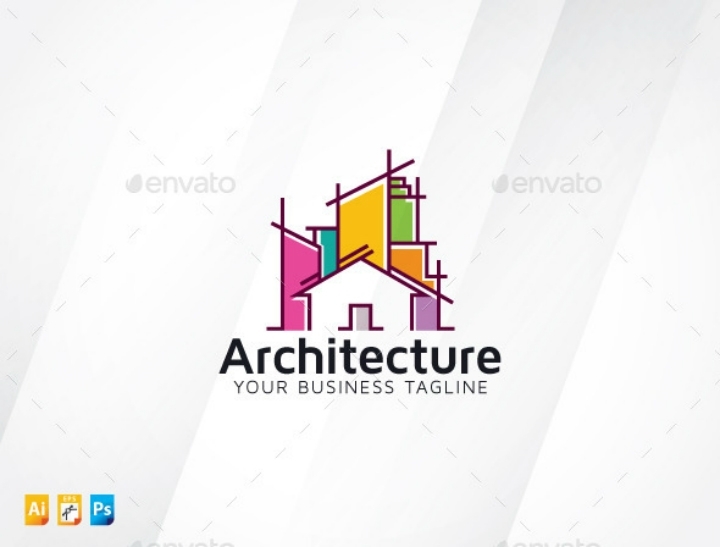 If you want a unique and memorable architecture logo, then download this design. For a file format that’s fully compatible with Adobe programs, you can also download PSD logo designs from our website. If you believe in the saying that the circle shape symbolizes totality, wholeness, and infinity, then why not go for this logo design. It could symbolize the infinite capabilities of your firm, and the wholeness of your employees when doing their respective jobs. This design leans more toward the modern image, and though it seems simple-looking, you would still be able to understand that the image within the circle represents the structures that the firm is capable of constructing. Being symbolic and unique may be a good way to become memorable and easily distinguishable by the general public. This way, you are sure to stand out from among your competitors. Many businesses make use of symbolic logo designs to help them build an identity for themselves that’s sure to be different from others. Like this architecture logo for example, it bears an image of what seems to be a maze. You would be able to ask yourself what this means, but it could be interpreted as a challenge that with great effort, can be easily managed. Which is what architects do, their job goes through a lot of challenges, but if they set their mind to what they’re doing and exert an effort, then they would be able to accomplish their task. To conclude, these professional logo designs have been gathered from among the best ones on the internet, from trusted sources, and were designed by outstanding graphic artists. If you choose to download any of these logo designs, you are sure not to regret your decision since you are already assured of the best quality. Now get yourself busy and start downloading any of these designs.